W.D & H.O Wills. Garden Hints (1938). FLOWERING TREES AND SHRUBS. WILLS CIGARETTE CARDS. ISSUED IN 1924. W.D. & H.O. Wills, Bristol. Wild Flowers - 1923. Very Good Clean back and front, may have dirty and softened edges and rounded corners. No creases. Excellent Clean back and front, including edges, sharp edges and sharp corners. W.D. & H. O. Wills, Bristol. Wild Flowers - 1923. Very Good Clean back and front, may have dirty and softened edges and rounded corners. No creases. Excellent Clean back and front, including edges, sharp edges and sharp corners. Garden Flowers by Sudell. 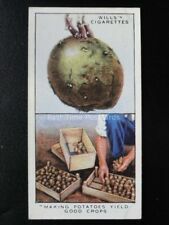 set of 50 cards issued in 1939. very good condition. Wills "Wild Flowers 2nd series" No. 2,5,6,7,8,9,12,15,17,19,21,22,23,25,26,27,28,30,31,34,36,37,39,40,41,42,47,48. 3 sets of Wills Cigarette cards 150 cards in total. (3) The Sea-Shore. Many good condition cards. 2 or 3 cards are poor. 1) Wild Flowers 2nd series. Condition is mainly fair to good with 2 or 3 poor cards. Garden Flowers - New Varieties, 2nd series. Garden Flowers - New Varieties, A series. A series card no. 38 shows more excessive signs of foxing than the rest - see photo. 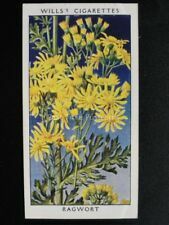 W.D & H.O Wills Cigarette Card Albums both Complete Wild Flowers First and Second Series. please see photos for condition (first series has name on back cover) Dispatched with Royal Mail 2nd Class.please note I cannot post out between 22nd and 25th April . 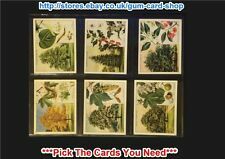 W.d & H.o Wills cigarette cards Garden Flowers full set of 50. Condition is Used. Dispatched with Royal Mail 2nd Class Letter. WILLS - FULL SET OF 50 CARDS - FLOWER CULTURE IN POTS - ISSUED IN 1925. THIS IS A FULL SET OF ORIGINAL CIGARETTE OR TRADE CARDS. Two full sets of Wills ‘Wild flowers’ cigarette cards, series 1 and 2. Wills Full Set of Garden Hints 1938 in a Double Sided Glazed Frame. A Complete Set of Will's 50 Original Garden Hints. Issued in 1938 by Will's. Will's Cigarette Card Album With 96 Cards Garden Flowers 1930 s. Made in England.Condition is Used. Dispatched with Royal Mail 2nd Class. YEAR OF ISSUE- 1910. SERIES TITLE - old english garden flowers. CARDS FOR SALE- 50. CARDS ARE FROM YEAR STATED REPRODUCTIONS WILL BE CLEARLY STATED AS REPRODUCTIONS. New listingWILLS'S - OLD ENGLISH GARDEN FLOWERS, A SERIES - 10 CARDS - 1910 - HIGH NOS. WILLS - OLD ENGLISH GARDEN FLOWERS, A SERIES - 1910. I am currently trying to get through a load of "odds" many of them of higher values but where it is unlikely that I will ever complete a set. All my cards are despatched in card backed envelopes for protection. New listingWILLS'S - OLD ENGLISH GARDEN FLOWERS, A SERIES - 10 CARDS - 1910 - LOW NOS. WILLS CIGARETTE CARDS. HOUSEHOLD HINTS. ISSUED IN 1936. 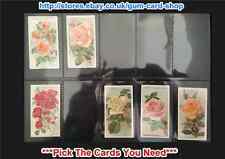 New listingWILLS'S - OLD ENGLISH GARDEN FLOWERS, 2ND SERIES - 10 CARDS - 1913 - LOW NOS. WILLS - OLD ENGLISH GARDEN FLOWERS, 2ND SERIES - 1913. I am currently trying to get through a load of "odds" many of them of higher values but where it is unlikely that I will ever complete a set. All my cards are despatched in card backed envelopes for protection. A card from the Wills 1924 Flowering Trees & Shrubs series. Is a little bit scuffed and marked. If you purchase more than one item and would like to combine P&P, please put the items in your basket and request an invoice. I cannot do this if you have already paid. If you are having a problem requesting an invoice, please contact me and I’ll do my best to help. .
A card from the Wills 1924 Flowering Trees & Shrubs series. Is a little bit scuffed and creased. If you purchase more than one item and would like to combine P&P, please put the items in your basket and request an invoice. I cannot do this if you have already paid. If you are having a problem requesting an invoice, please contact me and I’ll do my best to help. .
W.D. & H. O. Wills, Bristol. Roses (2nd Series) - 1914. 78, 79, 80, 81, 82, 83, 85, 86, 87, 88. 37 cards from set of 50 as follows 90, 91, 92, 93, 94, 95, 96, 97 & 100. 60, 61, 62, 64, 65, 67, 69, 71, 74, 75. W.D. & H.O. Wills, Bristol. Flower Culture in Pots - 1925. Very Good Clean back and front, may have dirty and softened edges and rounded corners. No creases. Excellent Clean back and front, including edges, sharp edges and sharp corners. WILLS CIGARETTE CARDS. GARDEN HINTS. ISSUED IN 1938. A card from the Wills 1924 Flowering Trees & Shrubs series. Has some scuffing and a mark on the back, otherwise good condition If you purchase more than one item and would like to combine P&P, please put the items in your basket and request an invoice. I cannot do this if you have already paid. If you are having a problem requesting an invoice, please contact me and I’ll do my best to help. .
A card from the Wills 1924 Flowering Trees & Shrubs series. Has some scuffing to edge, otherwise good condition If you purchase more than one item and would like to combine P&P, please put the items in your basket and request an invoice. I cannot do this if you have already paid. If you are having a problem requesting an invoice, please contact me and I’ll do my best to help. .
A card from the Wills 1924 Flowering Trees & Shrubs series. Slight scuffing, otherwise good condition If you purchase more than one item and would like to combine P&P, please put the items in your basket and request an invoice. I cannot do this if you have already paid. If you are having a problem requesting an invoice, please contact me and I’ll do my best to help. .
A card from the Wills 1924 Flowering Trees & Shrubs series. Has some scuffing/damage. If you purchase more than one item and would like to combine P&P, please put the items in your basket and request an invoice. I cannot do this if you have already paid. If you are having a problem requesting an invoice, please contact me and I’ll do my best to help. .